I love squashes, and butternut in particular. I was almost running out of ideas to cook them. But as I was preparing the Mango Chutney, I thought I could put the squash I had in the fridge to good use and make something Indian with it, some kind of patty. 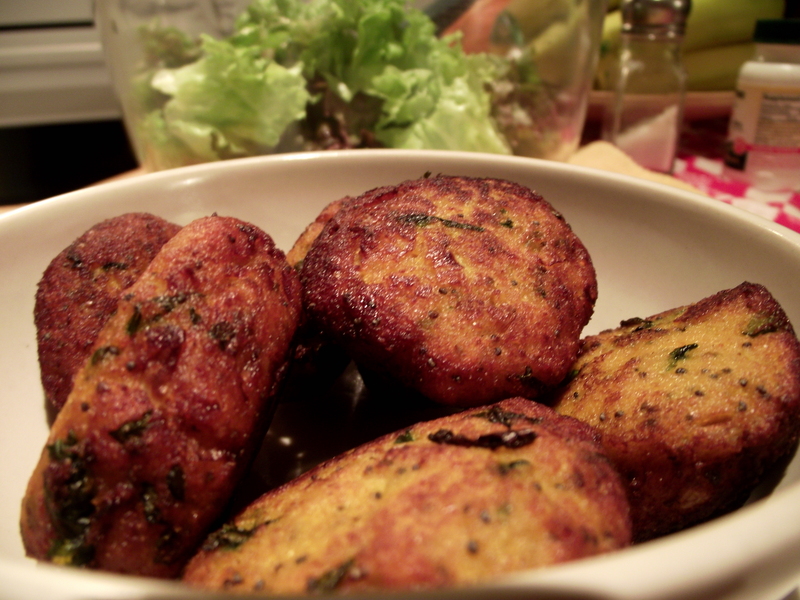 Bhajis is one of my favourite Indian foods. So I incorporated the squash and it really worked nicely. 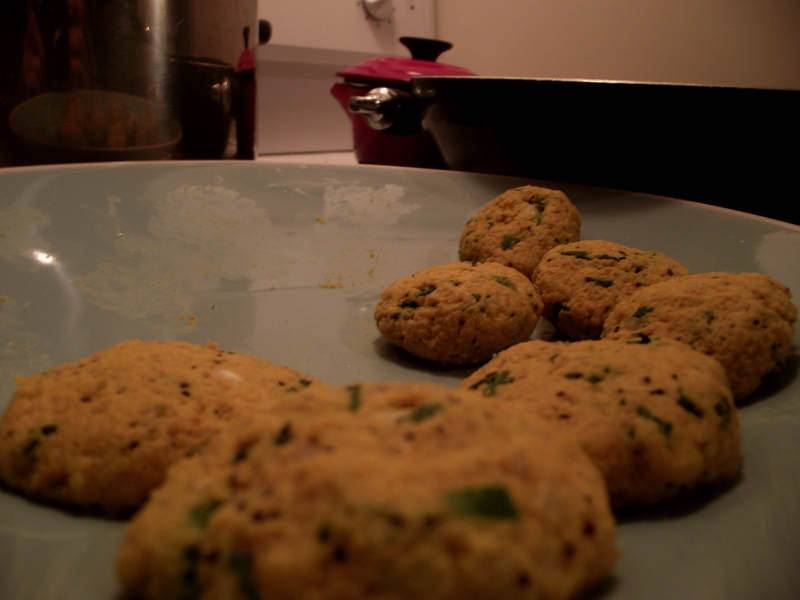 makes 40 small bhajis approx. First cook the peeled and roughly diced butternut squash in a pot with a lid, with 1 inch water at the bottom for 30 minutes or more, until completely soft. Make sure there is always a bit of water at the bottom so it won’t stick. When it’s soft mash it in the pot and make it dry a bit. Meanwhile chop onion, garlic, fresh coriander and spring onion very finely. Put them in a big bowl with salt, pepper, poppy seeds, the honey and spices. When the butternut squash is ready, add it in the bowl. Blend nicely and add the wheatgerm and the corn flower. Make some patties, in the palm of your hand, half an inch thick and 2 inches wide. In a deep pan, heat an inch or so of olive oil. Fry all bhajis for a few minutes on each side on medium-high heat, not too high or they will brown too quickly and won’t cook properly inside. Serve with brown rice or quinoa and of course mango chutney!